Did you know you can access your PC via your android Phone. 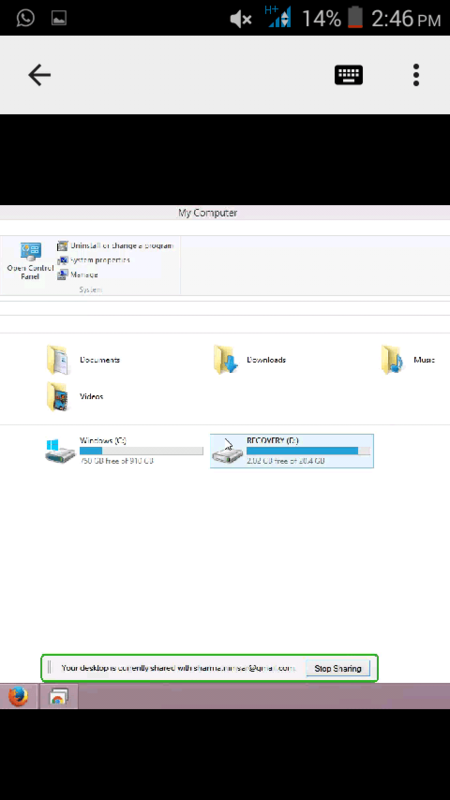 Here is a complete step by step tutorial to guide you for connecting your PC via your Mobile Phone. 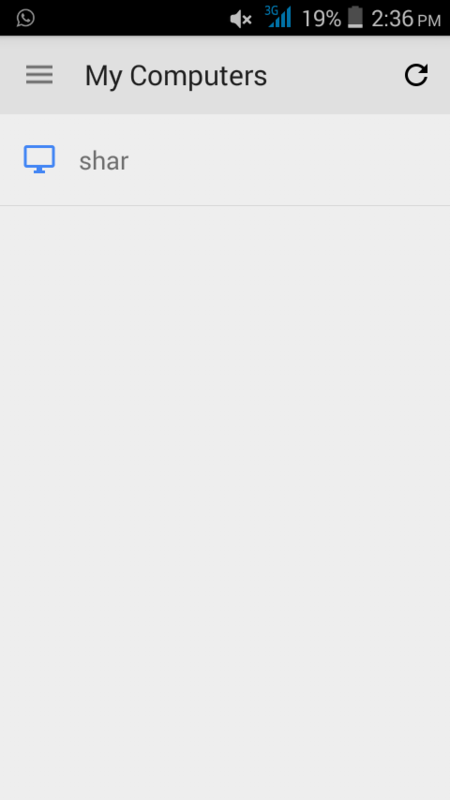 First of all go to google play store in your android mobile phone and install Chrome Remote Desktop by Google inc.
Now after installing when you will click on the chrome remote desktop android app on your phone, it will show you a screen like the one given below. Now go to your PC. 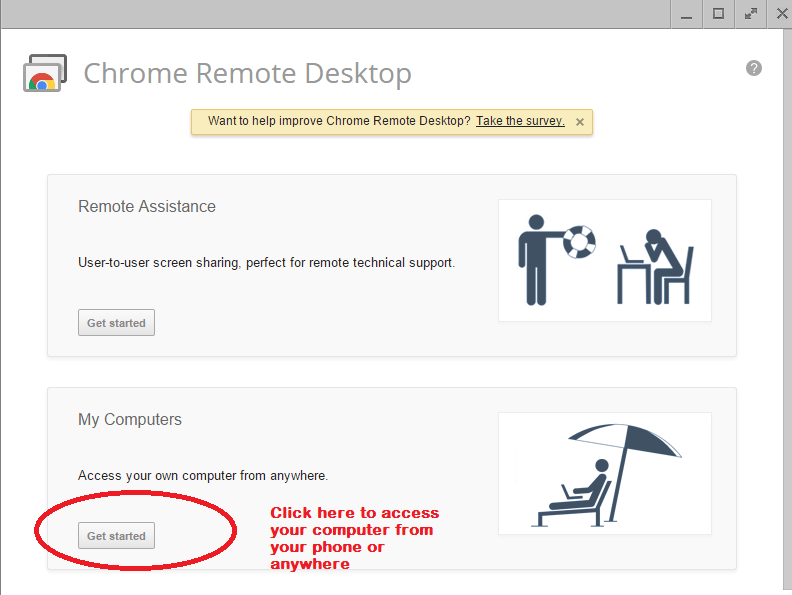 Opne Chrome Browser and install Chrome Remote Desktop Chrome extension. It will take you to chrome://chrome-signin/ page. 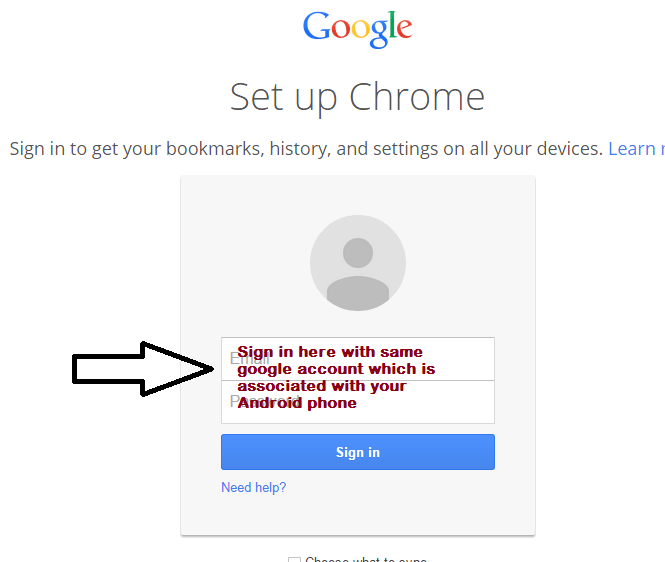 Sign in here with the same gmail account as of your android phone. After clicking on that an exe file will start downloading. Install that .exe file once it gets downloaded. Continue the process. It will prompt you to choose a six digit PIN. 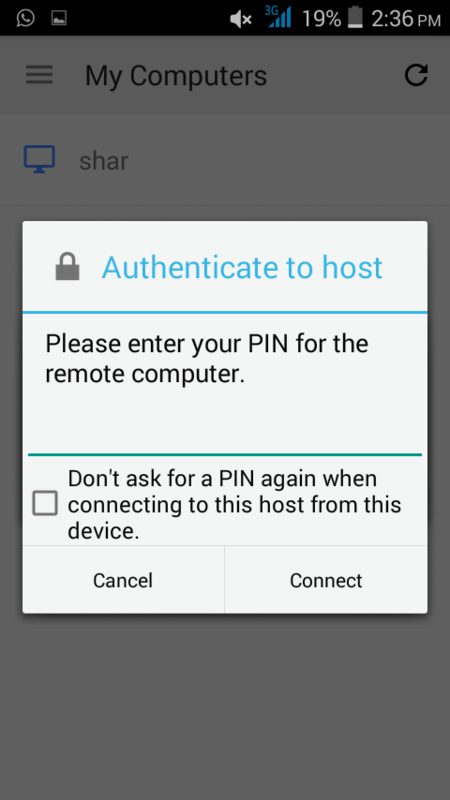 This six digit PIN is the same PIN which will be required as a access key for pairing up with your PC. 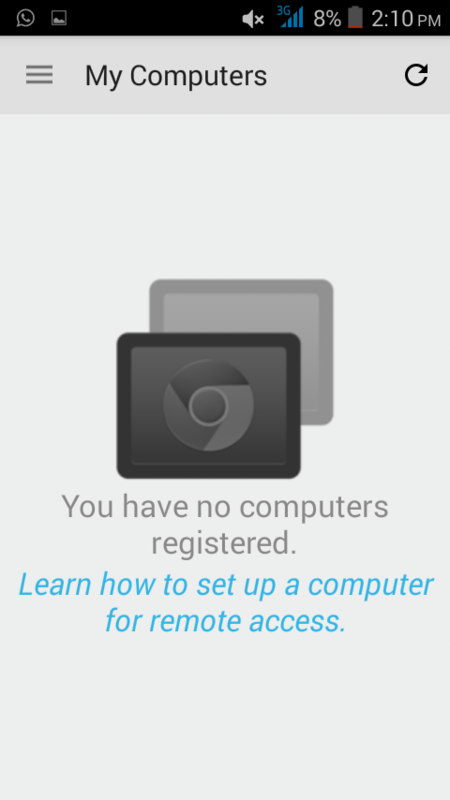 Now go to your phone and click on chrome remote desktop again and you will find your computer there. Click on your PC icon. Note that You must be connected through internet in your Phone as well as your PC to do that. 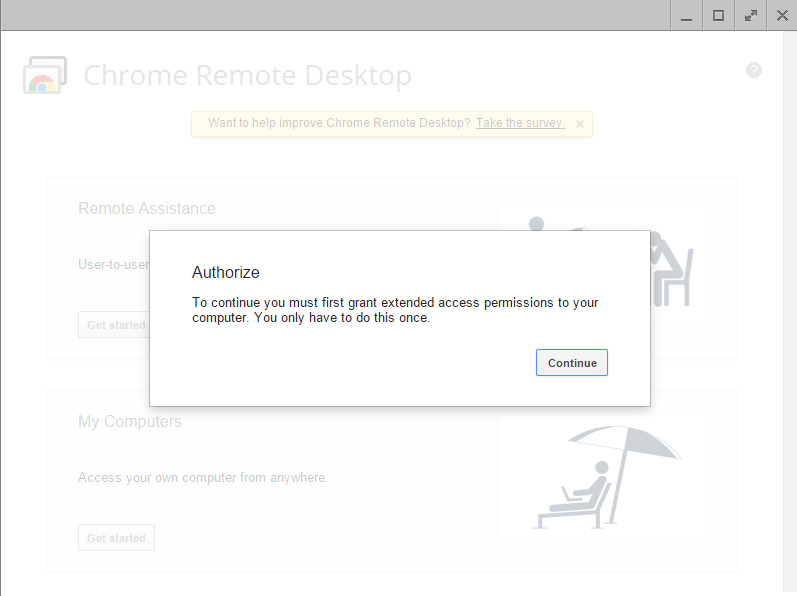 You can also use chrome remote desktop to connect one PC to another.